OK, so there were a few hundred other people with us but ha! I was really there. Me!! 🙂 Not only can I still not believe it but I can’t actually believe I am sharing photos here which I took…. Where to start?? I was so nervous just going in to the BFI Southbank that Wednesday morning…. I kept expecting someone to shake me and tell me I’d been dreaming – “sorry no golden ticket for you” – but sure enough as I emerged from the box office clutching the small piece of paper like my life depended on it, I had a seat for that night!!!! And what an experience to be there – it was such a privilege to be a part of this special screening and to listen to these incredibly talented guys talk about a film they all obviously feel passionately about. It must have felt that they’d been promoting the film forever but they were all so fun, charming and wonderful, as we’ve all come to expect…. When introducing the film we were told that David was sitting in the audience – sadly he wasn’t sitting beside me….or maybe that was a good thing, I would have struggled to pay attention to the screen I’m sure OK, I have to say something about this film here as this was me finally getting the chance to see it and HOLY SH*T!!!! I knew it was going to be incredible, tense, an emotional roller coaster but I’ll say it again HOLY SH*T!! That was freaking brilliant. Rey ripped my heart right out and stamped around on it for good measure and Eric too – they both have such incredibly expressive faces….their eyes say so much too. Both of them were out of this world amazing. I knew I was in trouble when Eric called Rey a halfwit in the motel and Rey’s reaction….jeez – everything started to collapse in on me, that was harsh to watch and so incredibly moving. 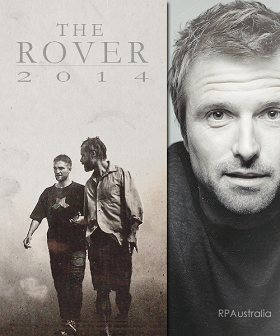 Rey is officially my fave character for Rob, so thank you David!! Anyway during the screening – we all gasped or jumped at the appropriate moments and there were lots of laughs too – it was such a great experience. When the lights went up the BFI team were setting up the small stage for the Q&A, we were told there’d be a slight delay as Rob and Guy were doing press upstairs. Next thing I’m aware of, there’s the handsome figure of Mr Michôd walking down the theatre aisle stairs to the front of the stage….on his own. He joked he wanted some ‘me time’ but in the end didn’t get that and gave a funny loud sigh as right then Rob and Guy were there waiting to come on. It’s a strange thing, the way the atmosphere changed, the security were suddenly all over and there was Rob. I feel for him, it’s just weird to witness that first hand and he gets that focus and attention ALL the time in public? He seems so incredibly shy, he’s amazing and an inspiration the way he deals with it all. They all are to be honest. Anyway, it was so surreal to be there and I loved every single minute. 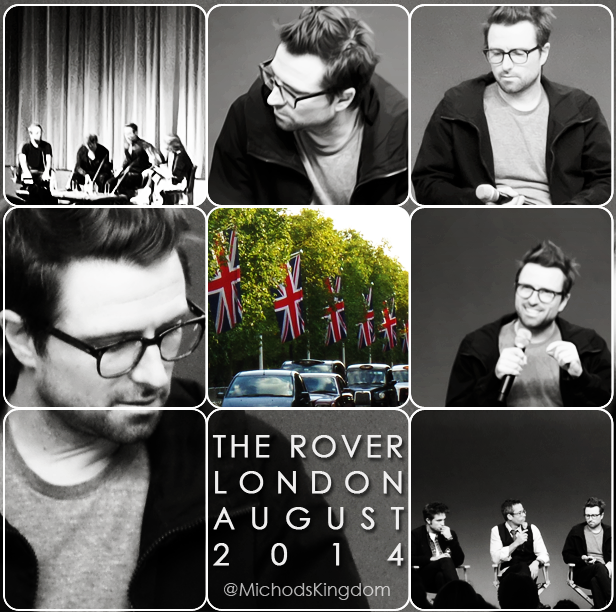 I can’t wait for the BFI to share the video of this event, it was so SO fun – the guys were all in great spirits. It was easy to forget they were talking in front of such a big crowd as they made it seem very friendly and intimate. I can’t thank them enough for agreeing to do this and the rest of the UK promotion, it was just an incredible experience. Something I won’t forget in a hurry…. The Apple event was kind of weird to start with and I pretty much don’t ever want to see another iPhone or iPad ever again having had to stand next to them for the whole time I was there 😉 In their little ‘theatre’ area in the store there are maybe 4 rows of seats which were taken by those who waited from early morning. So when I arrived it seemed like a bit of a shambles. There were a lot standing already and so my heart sank as, well, let’s say I’m vertically challenged. However I managed to find a spot by a narrow sectioned off area used by the staff and photographers in the middle of the crowd. The experience was incredible again but the fact the area was part of the store I struggled to hear early on as there was chatter from the store in background. Annoying. I sincerely hope they weren’t aware of that on stage and it did get better as it went along. The interviewer was really great from what I remember, great interaction from all of them and the podcasts are thankfully now available (see here)!! It was so much fun again and over all too soon. This whole experience was just so out of this world incredible, I loved being a tourist in London and will never forget The Rover experiences. I’m just so grateful. Thank you David, Rob and Guy for being so generous with your time and all round brilliant, brilliant blokes. Posted in Q&A, The RoverBookmark the permalink.